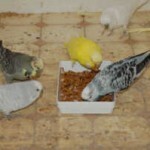 feed - Budgerigarworld.com - The international website for the hobby worldwide. A website all about Budgerigars. All Entries Tagged With: "feed"
Myth Busters – As collected by Terry Tuxford – Don’t believe everything you are told! Myth Busters – Don’t believe everything you are told!